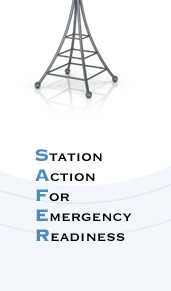 Here you'll find a number of buttons and modules created for use on your station's website. 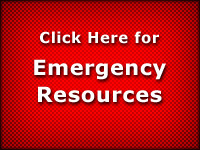 They're designed to support your informational activities before, during and after an emergency. The buttons are designed to live on your home page and link to whatever materials you've created on your site for emergency response. 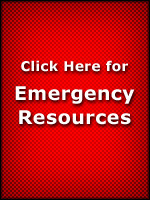 We recommend building a simple page of local and regional disaster materials, including the SAFER modules and other resources customized for your community. To use these modules as a quick way of aggregating emergency information sources on your site, simply copy and paste the module code into the <body></body> of the page you'd like the module to show up on. 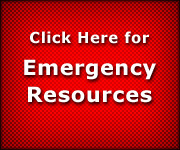 You might insert one of these modules on your home page during an emergency. Or you could cluster them on a permanent "emergency resources" section on your site, and link to that section from an activated button on your home page. If you choose, some features of the modules can by modified through the use of cascading style sheets (CSS). Here are the CSS classes for these modules. There are also a variety of helpful online tutorial Web sites, such as Webmonkey, that provide information on programming a website with Cascading Style Sheets. Visit our resources page for ideas on using other readily available tools like an API to pull richer and more flexible content to your site.